Today’s polyurethane roller stands play an essential part in a broad array of industrial applications. 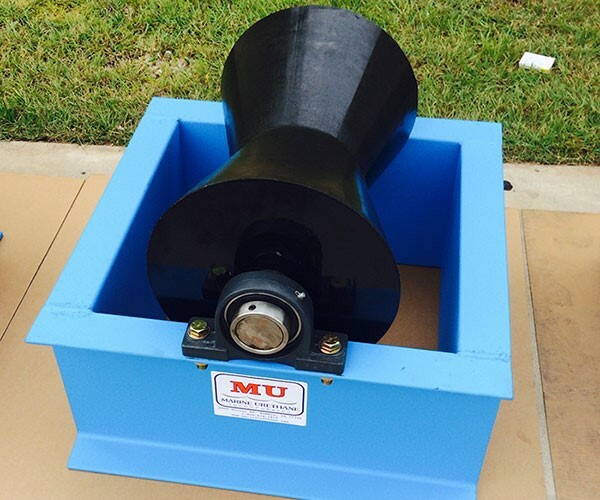 Current custom feed rollers and stands from firms such as MUI are high-tech designs, engineered and produced for specific purposes, meeting unique demands. As an aid in Horizontal Directional Drilling, high-quality rollers make it a much simpler process to move the pipe from storage to transport, and then to the project. Roller stands sometimes referred to as roller support stands, stand with a rolling mechanism on top, typically of polyurethane manufacture. They are used to convey a variety of materials from one point to another, and in this case, the material is the pipe used for Horizontal Directional Drilling (HDD). These stands keep the tube supported as it travels smoothly toward its destination, eliminating the need for manual transport. The rollers use a sturdy frame that is adjustable to different heights. Heavy duty stands have high load bearing capabilities. The polyurethane rollers are designed to resist exposure to water, solvents, chemicals, and the weather. What Are the Advantages of Using Roller Stands? The primary advantage is the capability for transporting heavy pipe from a truck to a storage facility or a job site. Companies that engage in Horizontal Directional Drilling are not limited to oilfields or offshore drill rigs. Towns and municipalities use them for laying sewage pipe. Electric providers use them to run conduit, and gas companies uses HDD for laying gas pipe. These projects exist anywhere from rural to urban areas. The pipe needs to be easily accessed and quickly moved onsite. Rollers are a distinct asset when it to comes to handling heavy pipe. They are used to support of pipelines that expand and contract along the length of the drill, as well. The Oil and Gas Industry – Roller stands offer long-lasting, high-quality performance and service to offshore and oilfield installations. The Pipeline Industry – The custom molded rollers are manufactured to exceed the demands of oilfield and offshore oil and gas industries, especially those that practice Horizontal Directional Drilling with any regularity. General Industry – Custom-designed polyurethane products find use in a variety of applications in various sectors that include public utilities, such as gas, water, and electric.